Doom has come to Golarion. Embark on a decade long adventure that sees the Dominion of the Black return to exact terrible catastrophe across the entire world. What better way to switch to a new edition of the game than by ushering in a cataclysmic event, the likes of which the world has never seen before. I have to say–having read the synopsis here, props to Paizo for going big. It would be an easy thing to just have a playtest adventure that’s a dungeon crawl or whatever. But no–instead we get a sprawling, epic adventure that stretches across years as doom comes from the darkness between the stars to rule over Golarion. Buried in ancient Osirion, magical relics have been counting down…to now. The stars (and planets) are right, which means that the Dominion of the Black–the sort of horde from beyond the stars, comprising ancient terrible aliens whose power rivals gods–is invading, remaking the world in their own image. Come see the end–and the beginning. 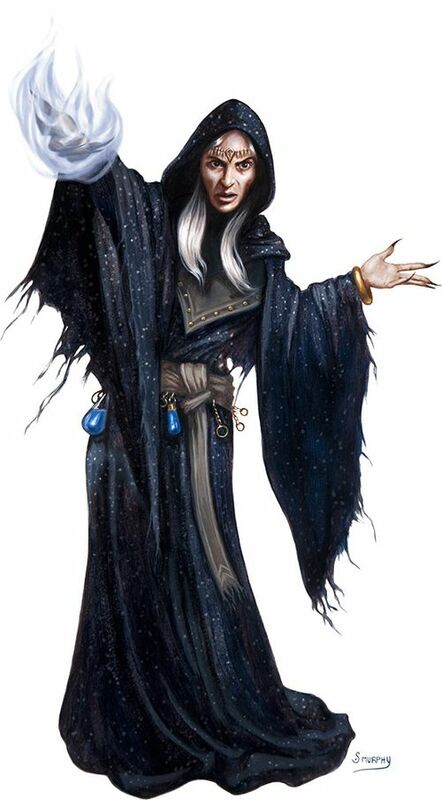 Mysterious ancient artifacts from sand-choked Osirion count down the years until a rare planetary conjunction that will align Pathfinder’s world of Golarion with the hostile planet Aucturn, allowing the ravenous hordes of the Dominion of the Black to surge forth and harvest the brains of the Inner Sea, remaking the world in their terrible, alien image. 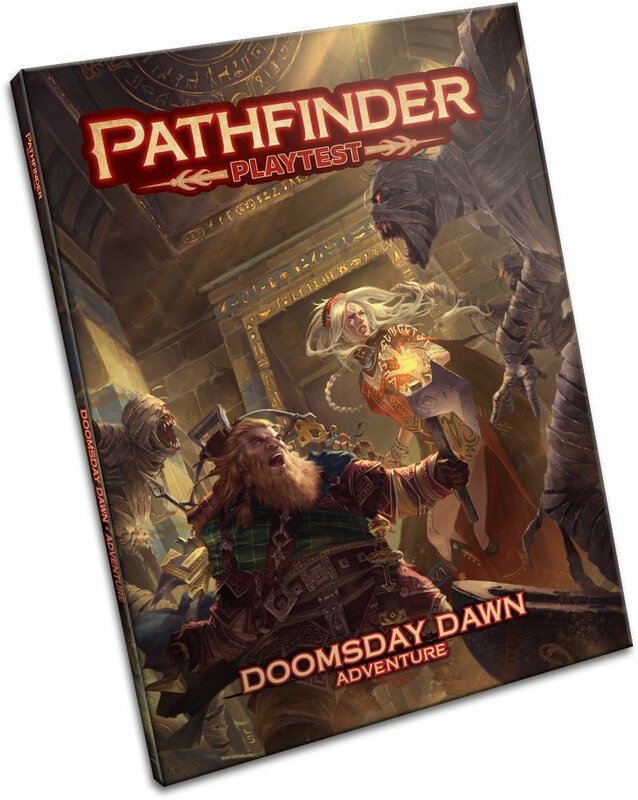 Doomsday Dawn takes the heroes on a decade-long journey throughout Golarion as they attempt to understand and defeat the otherworldy menace and avoid utter catastrophe. This collection of seven multi-encounter scenarios is designed to introduce the Pathfinder Playtest rules in a guided, shared playtest experience coinciding with regular surveys and feedback from players like you! I guess Doomsday *is* a good way to usher in a new edition.